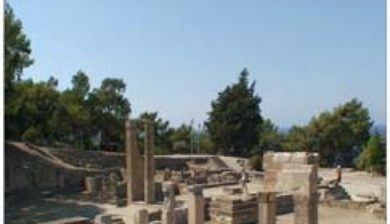 (/kəˈmaɪərəs/; Greek: Κάμειρος) is an ancient city on the island of Rhodes, in the Dodecanese, Greece. 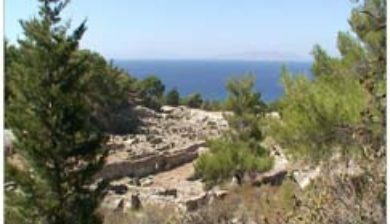 It lies on the northwest coast of the island, three km west of the village of Kalavarda. 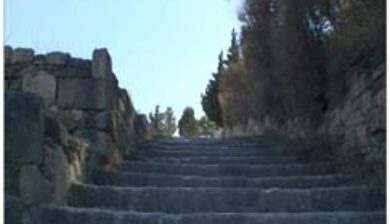 The ancient city was built on three levels. 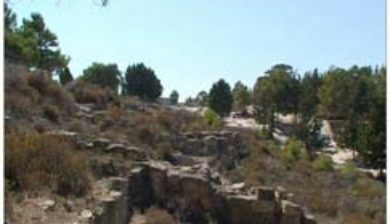 At the top of the hill was the acropolis, with the temple complex of Athena Kameiras and the stoa. 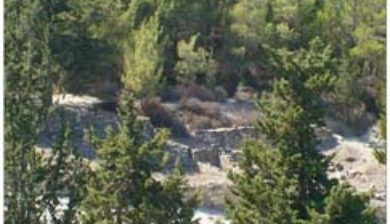 A covered reservoir having a capacity of 600 cubic meters of water—enough for up to 400 families—was constructed about the sixth century BC. Later, the stoa was built over the reservoir. 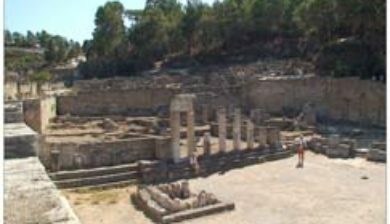 The stoa consisted of two rows of Doric columns with rooms for shops or lodgings in the rear. The main settlement was on the middle terrace, consisting of a grid of parallel streets and residential blocks. 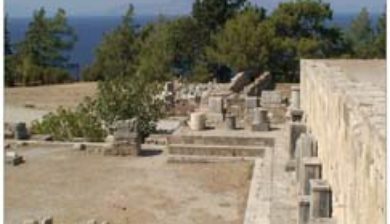 On the lower terrace are found a Doric temple, probably to Apollo; the Fountain House, with the Agorain front of it; and Peribolos of the Altars, which contained dedications to various deities. 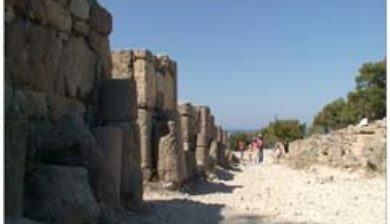 During the prehistoric period the area was inhabited by Mycenaean Greeks. 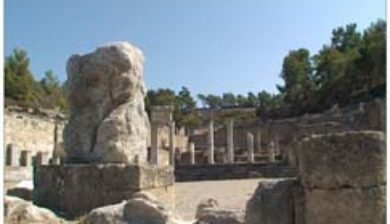 The city itself was founded by the Dorians. 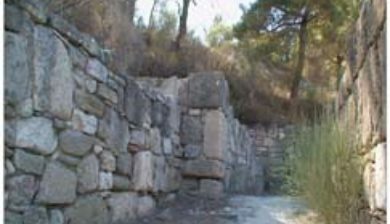 The temple foundations were begun at least as early as the eighth century BC. 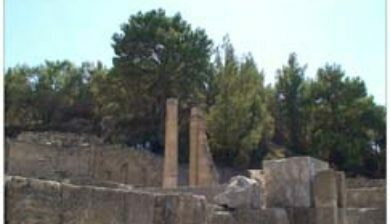 The earthquake of 226 BC destroyed the city and the temple. 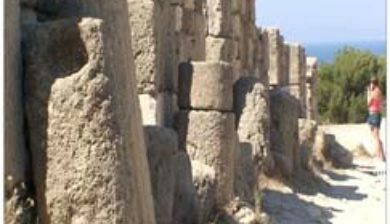 The earthquake of 142 BC destroyed the city for the second time.